Leon Bridges returns to Northwest Arkansas following a sold-out performance at the Heartland Summit in Bentonville last October. 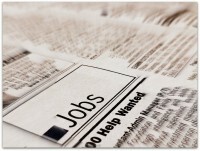 Richard’s Meat Market, and GCM Computers are now hiring in Fayetteville. The Amazeum UnGala FUNdraiser is more than just a great time for adults to give their inner child a night out to play. BikeNWA will host the first of four “Open Streets” events planned around the region in Fayetteville from noon until 4 p.m. on Sunday March 31 at the corner of Prairie Street and Government Avenue, just off the Razorback Greenway. Tired of getting hauled off to jail for no-pants gardening at your house in town? Sounds like it’s time to move out to the country, and boy do we have the house (with 10 private acres) for you! Get out of the cold with two hot nights of swinging gypsy jazz when The Hot Club of San Francisco comes to Walton Arts Center January 10-11! 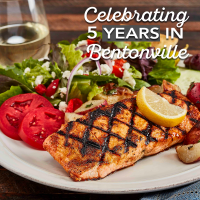 Taziki’s Mediterranean Café in Bentonville is celebrating 5 years and they’re offering Flyer readers a chance to try the restaurant for FREE to commemorate the occasion. Get to know CBD American Shaman, a new business that opened recently in Fayetteville. Holiday gift ideas from Fayetteville businesses. Underwoods is hosting a Shop Small Business Saturday Giveaway this week! Here are several local places offering unique specials on Black Friday and Small Business Saturday in Fayetteville this year. Get to know new local boutique 59th and 9th, and the latest tenant on the Fayetteville square, Grand Savings Bank. This post paid for by Democratic Party of Washington County. Grub’s is seeking line cooks and dishwashers at both of their Fayetteville locations. Fasten your garter belt and get ready for Halloween night at Walton Arts Center. The popular Rocky Horror movie night is back… and this year we’ve added live music and specialty drinks prior to the feature film! Giveaway: Win Tickets to Halloween in the Hollow at Crystal Bridges! Enter to win tickets to Halloween in the Hollow at Crystal Bridges. Before the 8 p.m. performance of Jersey Boys on Saturday, Oct. 6, the professional mixologists from Maxine’s will teach you how to mix two classic craft cocktails straight out of the ‘60s. Sacred Leaf is a Kansas City based company that launched in 2017 with the vision to provide the world with the most ethically sourced, premium quality full spectrum cannabinoid extracts from low THC cannabis hemp plants. 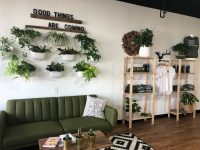 Get to know Sacred Leaf, a new business now open on Township in Fayetteville. Whataburger is seeking restaurant team members in Fayetteville. AD: AR Startup Crawl – The Biggest Startup Party of the Year! Enjoy craft beer & live music while visiting with local startup and technology companies in Downtown Fayetteville at this year’s Startup Crawl!